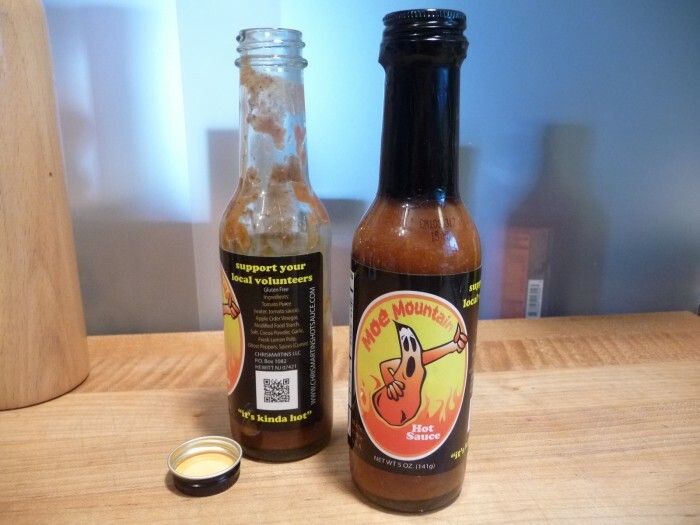 Moe Mountain Hot Sauce is a tomato based Ghost Pepper sauce from Martin Olsen, and his slogan is “it’s kinda hot”. Let’s see if it really is. It’s also one of the newest hot sauces to come to market. Made with a blend of natural ingredients like apple cider vinegar, cumin and cocoa powder, and coupled with the famous Bhut Jolokia Pepper (Ghost Pepper), Moe Mountain Hot Sauce brings its own unique flavor to the hot sauce world. Ingredients: tomato puree (water, tomato sauce), apple cider vinegar, modified food starch, salt, cocoa powder, garlic, fresh lemon pulp, ghost peppers, spices (cumin). Flavor: – Dark, spicy and just slightly hot. This is a kicked up Mexican style sauce with ghost pepper heat. Surprising. 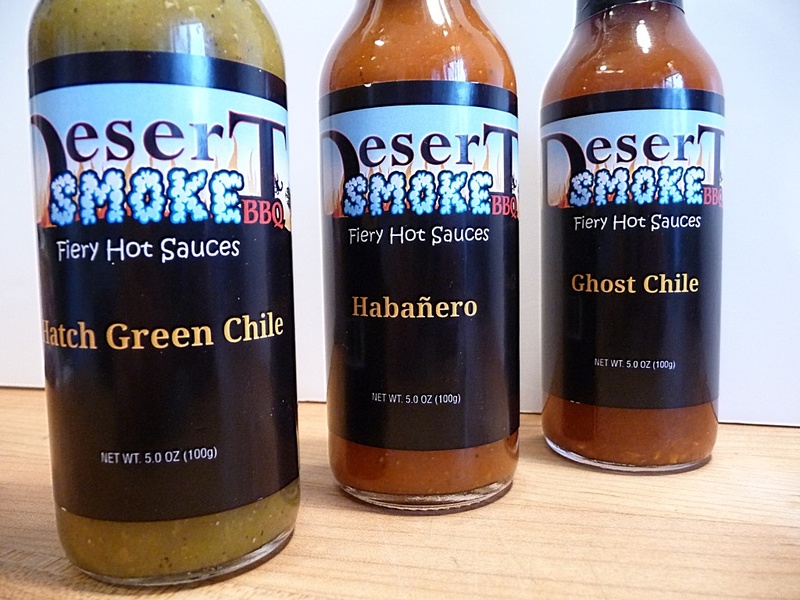 Heat: – Just about in the middle… the heat burns off quickly leaving the rest of the flavors to linger. Wild n mild. Texture and appearance: Thick and smooth. The dark color is flecked with bits of spices. Classic. I would also like to point out that Moe Mountain Hot Sauce is packaged in a 5 ounce bottle (woozie) with a wide mouth. This makes it very easy to pour the sauce out. 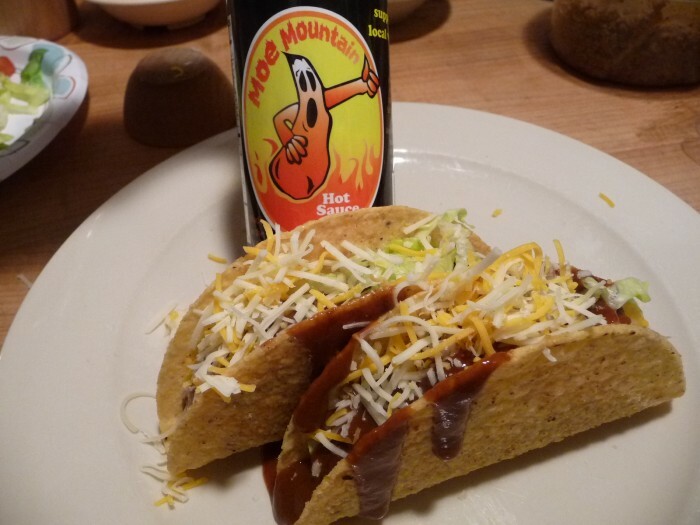 We tried Moe Mountain on tacos and pizza for this review. 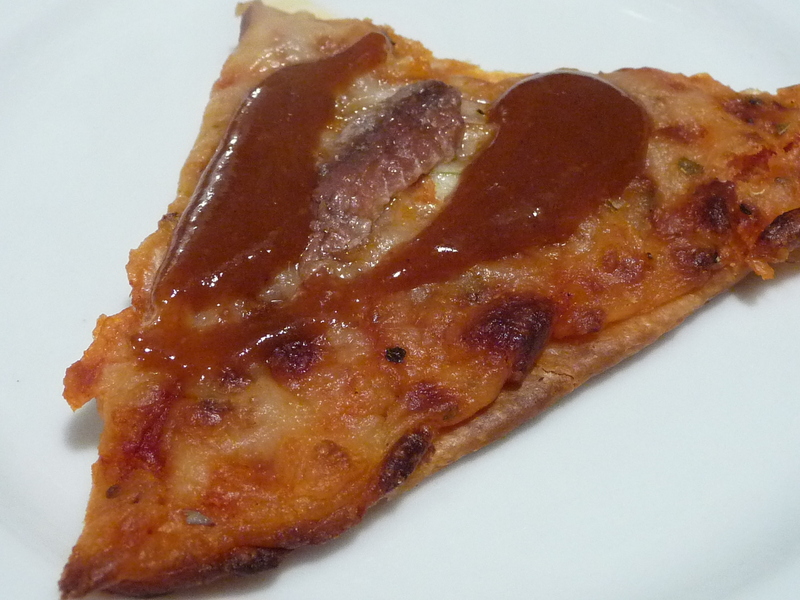 It was delicious on pizza. But it excelled on tacos. This is a fiery taco sauce that is thick and rich. 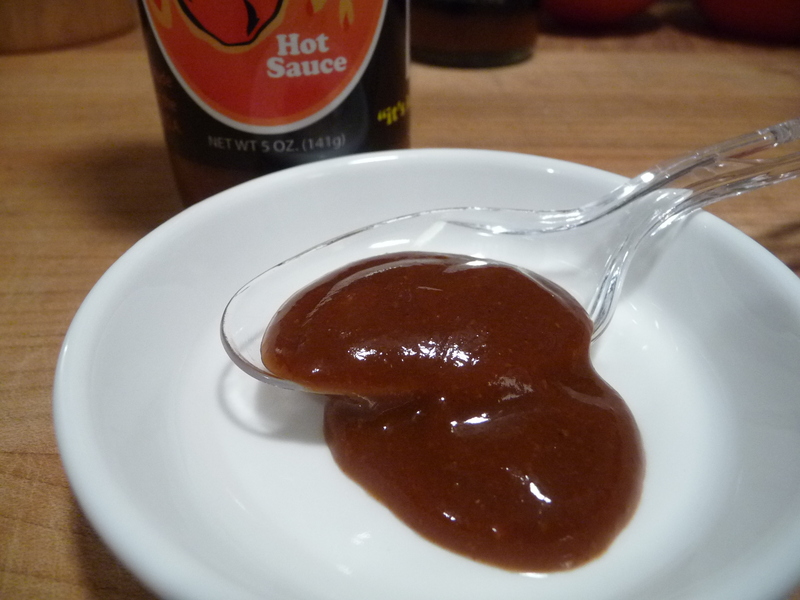 This is a great entry-level Bhut Jolokia (Ghost Pepper) sauce. Coupled with some spices that include cumin, it would also be great splashed onto a bowl of chili. Don’t forget the onions and cheddar cheese. Overall Rating: – Big, bold and delicious! Versatile as a medium-thick sauce on all foods that can stand up to a big flavor. Winner. Tell Martin that Brian from HotSauceDaily sent you!